Hornady is one of the most respected names in American-made ammunition due to the quality, dependability, and accuracy of their products. This 40 Smith & Wesson Zombie Max ammo is no exception. 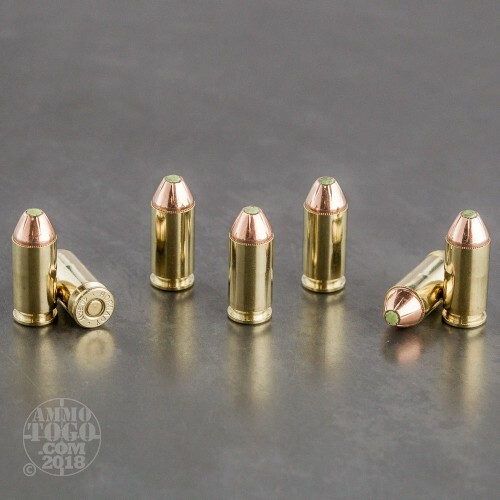 Each of these 20 rounds is loaded with a 165 grain Z-Max jacketed hollow point projectile. Featuring a special, neon green, polymer-tip, this ammunition delivers devastating terminal expansion. 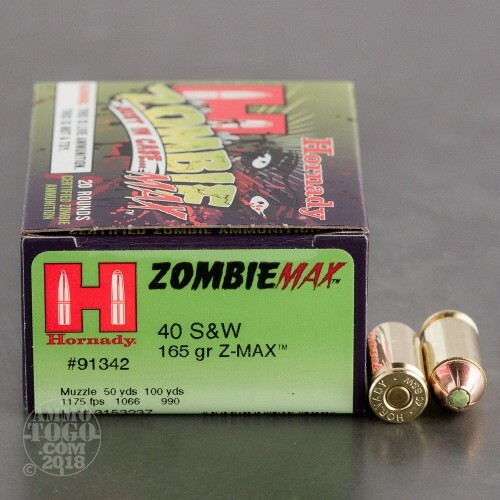 Combined with Hornady's rugged AMP jacket technology, the Z-MAX bullet is built to punch through targets without deforming or breaking, yet offers reliable expansion in soft tissue. 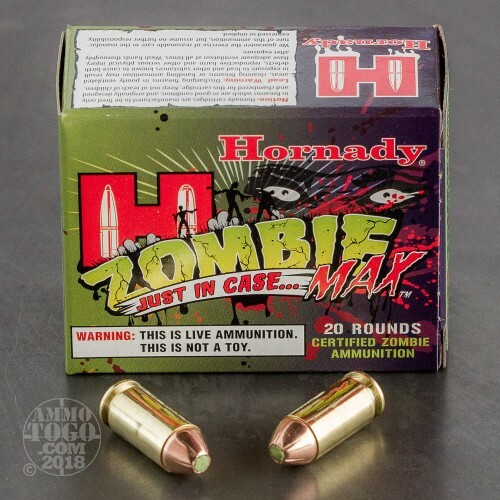 Specifically designed for zombie elimination, this ammo is perfect for your bug-out bag. 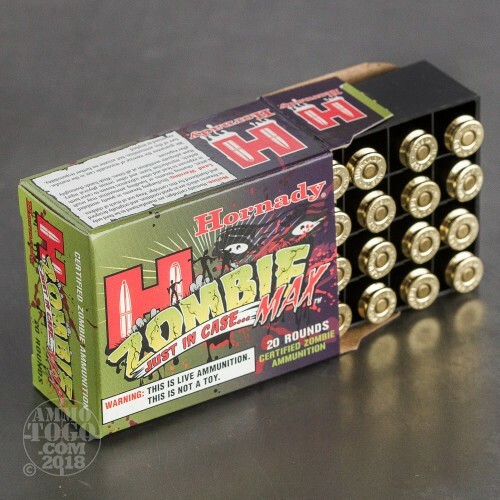 Be prepared for those undead hordes with this "certified zombie ammunition." This new production self-defense ammo features non-corrosive boxer primers and reloadable brass casings. Each round produces a consistent muzzle velocity of 1045 feet per second and 400 foot pounds of zombie-stopping energy.